Have you got bored of your home or room decoration? Or, do you only have a plain wall at your home or your private room? 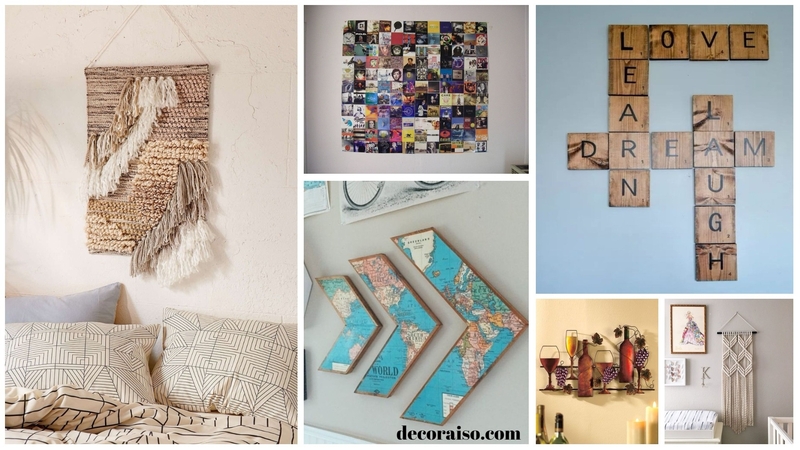 If you do, you can create your own wall decoration to make your home more elegant and cozier. Remember, a home represents the owner’s characters. And, this description will show you how easy creating a wall decoration is. Some may think that creating a wall decoration will be difficult and spend much money. But, decorative wall hanging can be one of the ideas to make the wall more artistic, colorful, and beautiful. You can use some material available at home to create the decoration, such as plastic, paper, wood, lamps, bottles, stones, glass, an so on. Putting some paintings, photographs in frames, or flowers in a vase on the wall in a good or unique arrangement also can be the other decorative choices. If you want to make your wall hanging more artistic, you also have to decide the theme, whether it will be classic, feminine, colorful, or shabby chic. To make the decoration more interesting, you can do something like modifying the color, picture, and shape or arranging the wall decoration in a unique order. Thus, it will attract anyone who comes to your home. So, don’t you want to try to make your own decorative wall hanging?